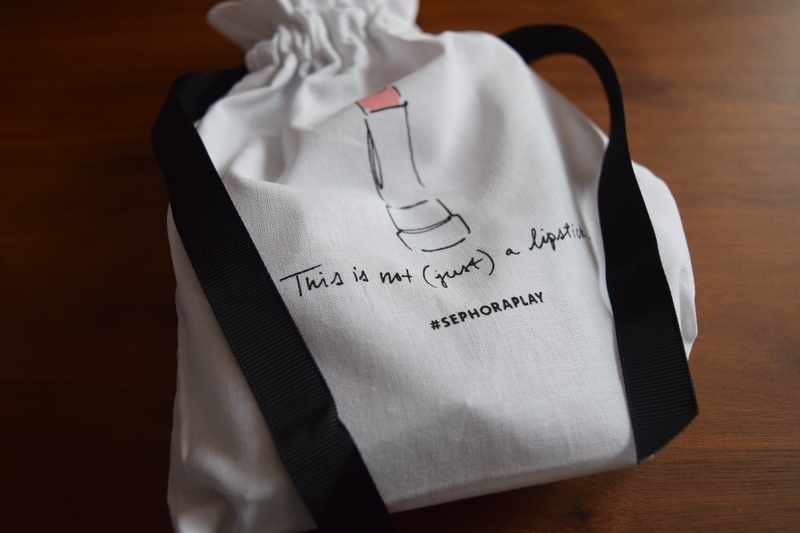 For Friday, I’ve got one of my favorite budget boxes: Play by Sephora. 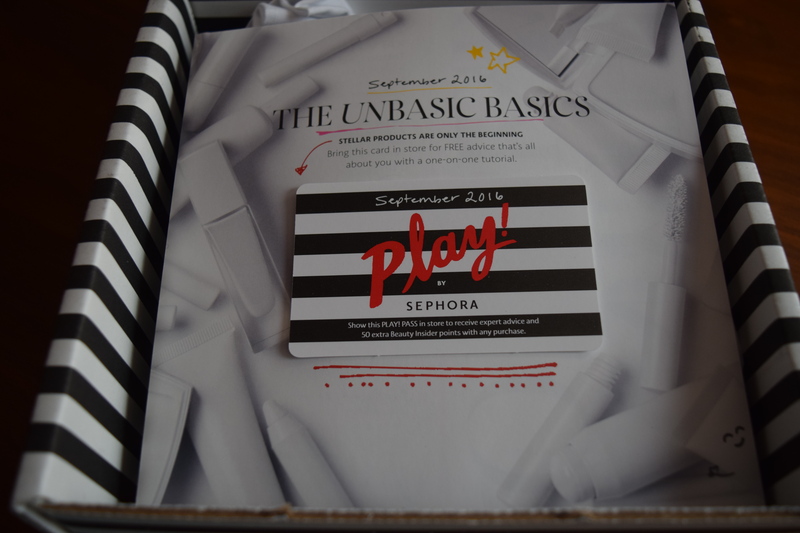 At only $10 a month, they send a fun assortment of beauty items under a monthly theme. 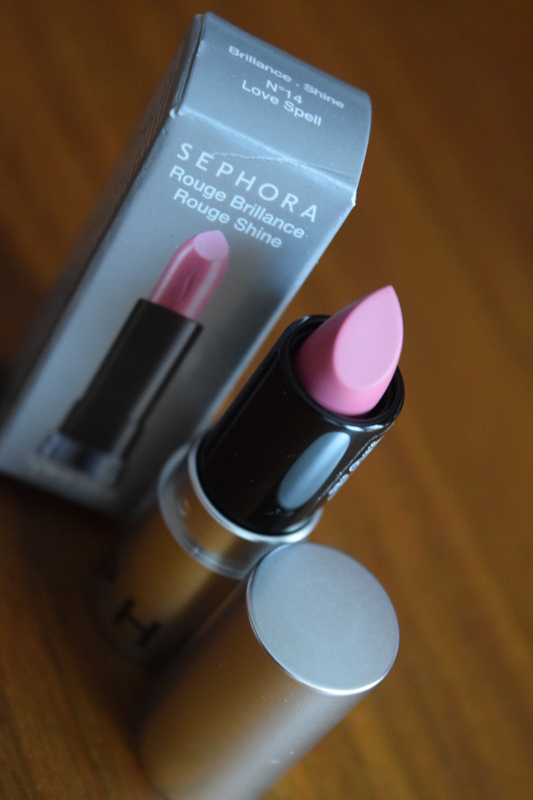 I’m always on the hunt for the perfect everyday pink lipstick so I was happy to try out a new shade. 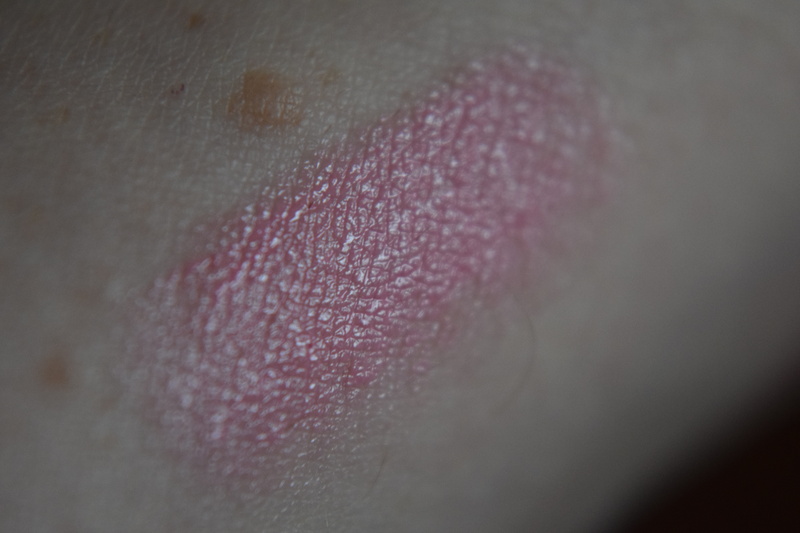 This lipstick felt quite nice going on and has excellent shine. 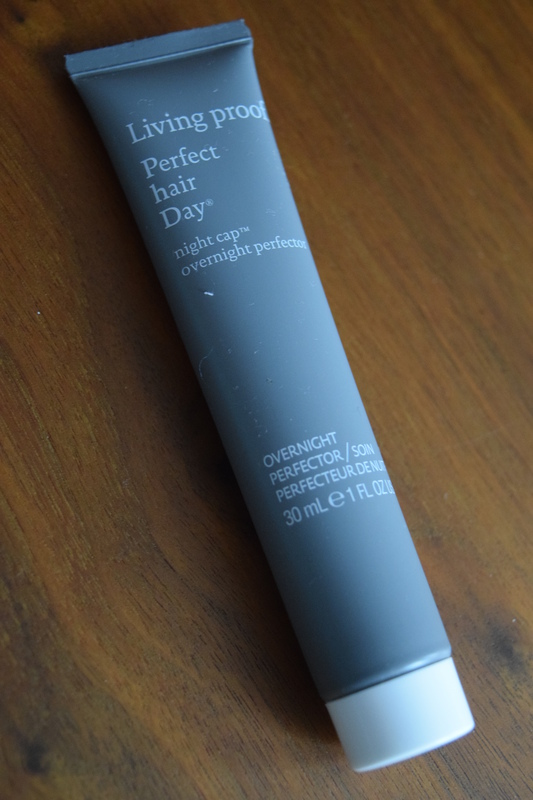 This is one of my holy grail products. 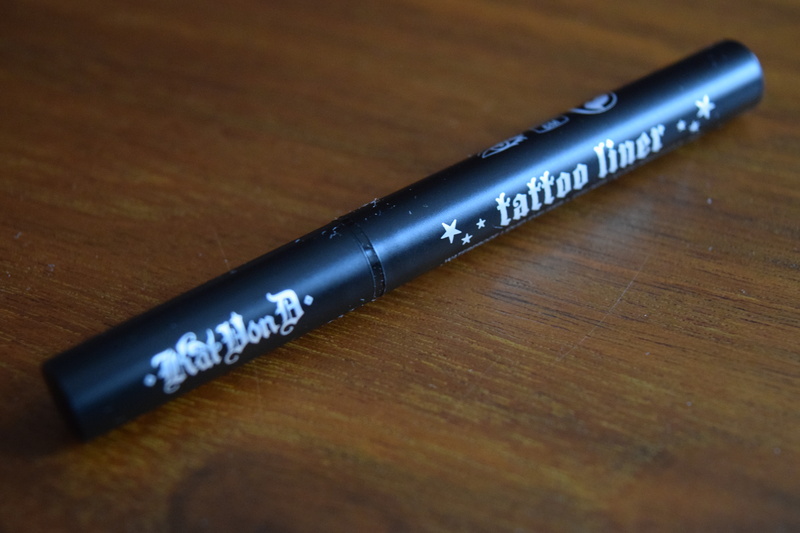 I keep trying out other liquid liners and none are as easy to apply as Kat Von D’s. 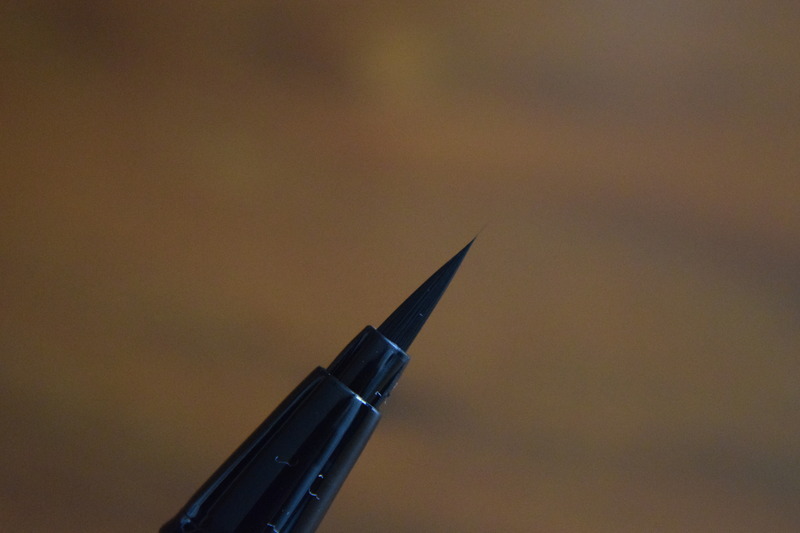 It also has awesome staying power—definitely worth the splurge and since mine is getting a bit low, I was psyched to get a new one. 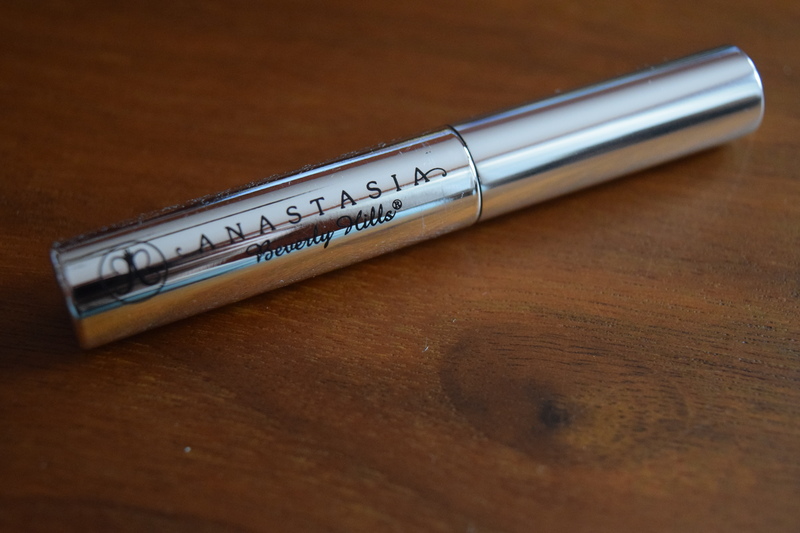 Anastasia Beverly Hills is one of the go to brands of eyebrow products. 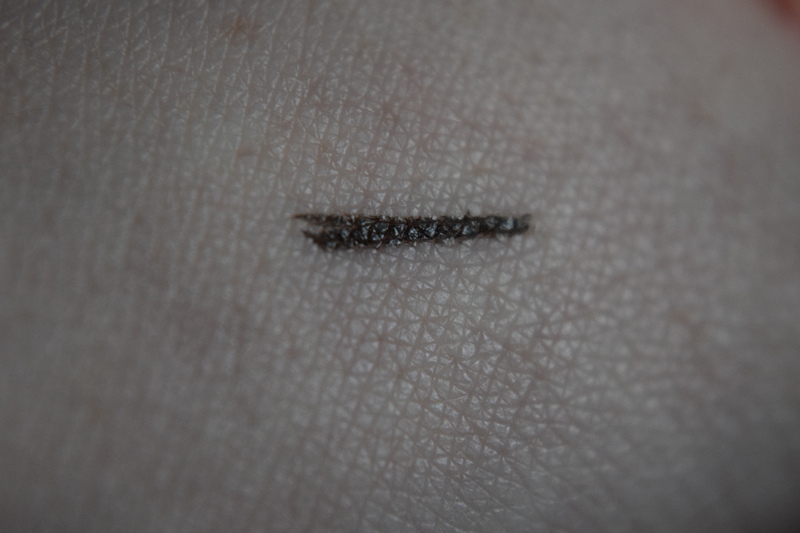 Julep got me hooked on using clear eyebrow gel to set my brows and I’m excited to try out another brand and see how they compare. This product sounds lovely, and this is an excellent brand but I have so much skincare stockpiled I’m not sure if I’ll use this myself or tuck it into someone else’s gift. 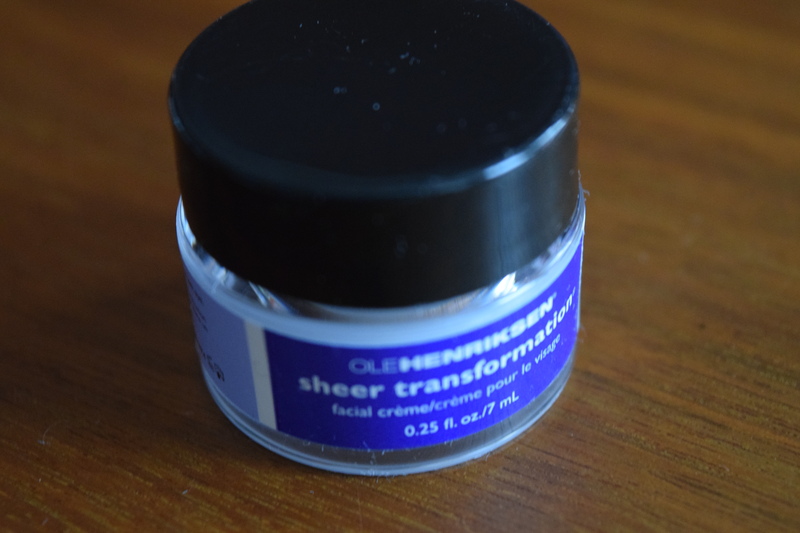 I love trying out new hair masks and treatments but I still have a full size of this from a long ago Nina Garcia Quaterly box. I’m going to gift this to a friend I think will enjoy it. 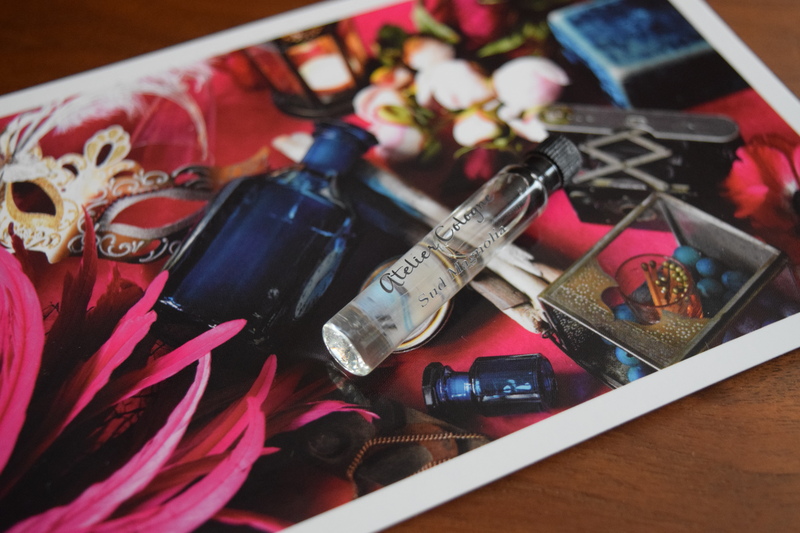 Atelier is one of the few perfume brands that I can typically wear but this one didn’t work. For me, the musk and floral overpowered the citrus notes, but I do think it would appeal to a lot of other subscribers. With tax, I paid $10.70 for this box and I feel like with just the liner, lipstick and gel I got my money’s worth. I will use all of those products regularly. 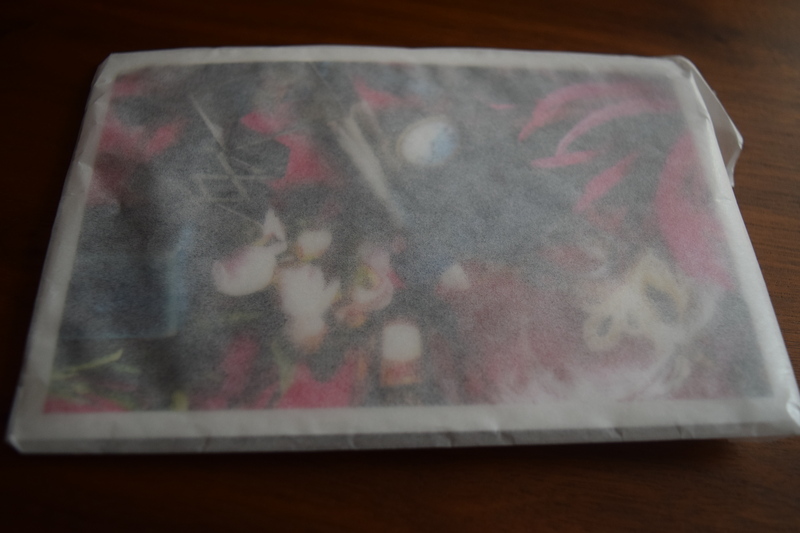 The remaining items will make nice little stocking stuffers for friends. What brand is your favorite “Unbasic” basic? 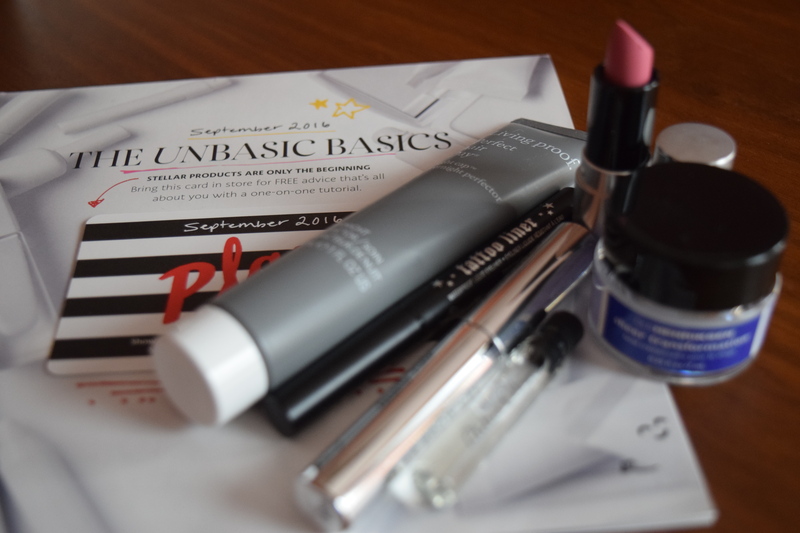 Previous article	← Popsugar: September Must Have Box + November & Neiman Marcus LE Box Spoilers & a Winter LE Box!